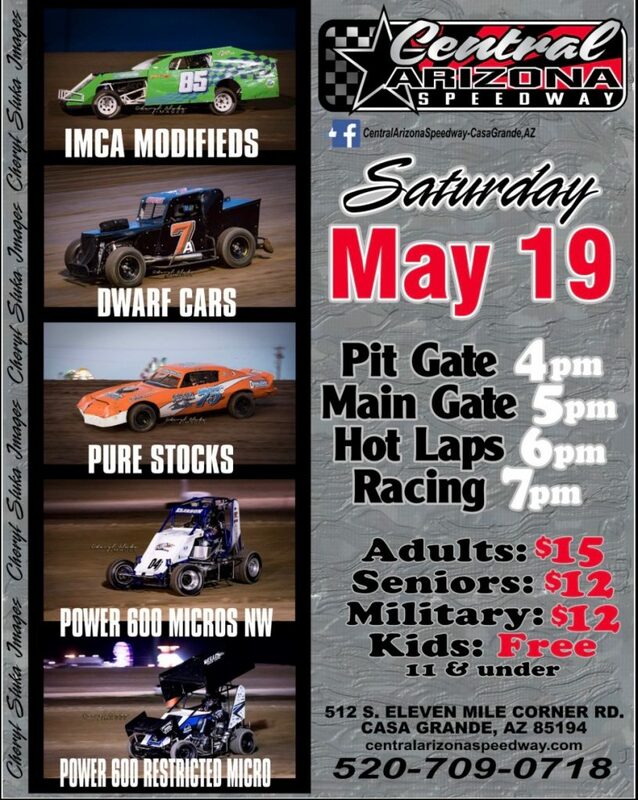 We will have practice Friday, May 11, at Central Arizona Speedway from 6:00pm – 9:00pm. It is open to all divisions. Please tell your racing buddies. 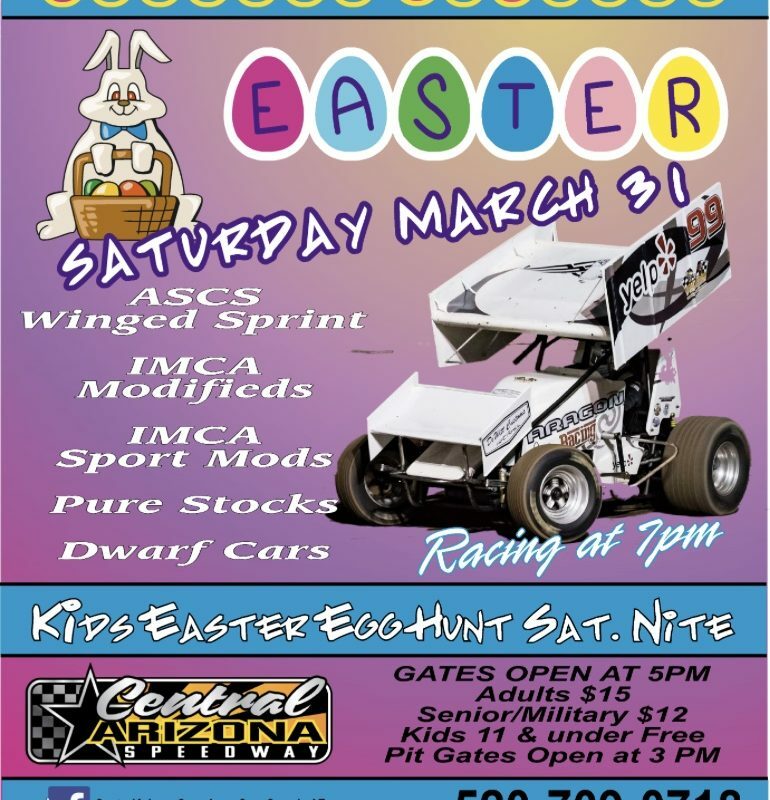 4/28 Racing at the CAS!! 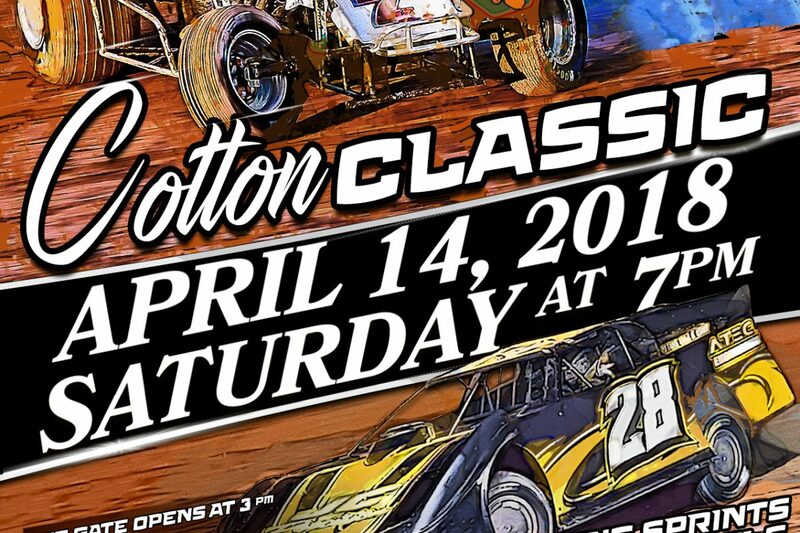 Central Arizona Speedway gets back into action April 28th. 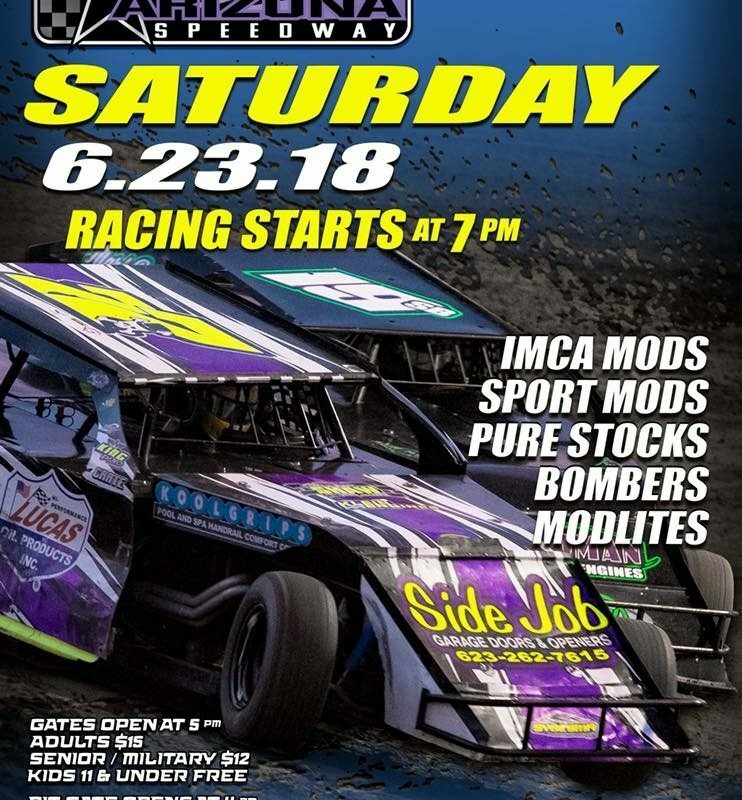 When the IMCA Modifieds, IMCA Sport Mods, Bombers, and Power 600 Series Micros compete on the fastest and most exciting 3/8 dirt oval in the Southwest. Central Arizona Speedway goes green this Saturday night at 7:00pm. 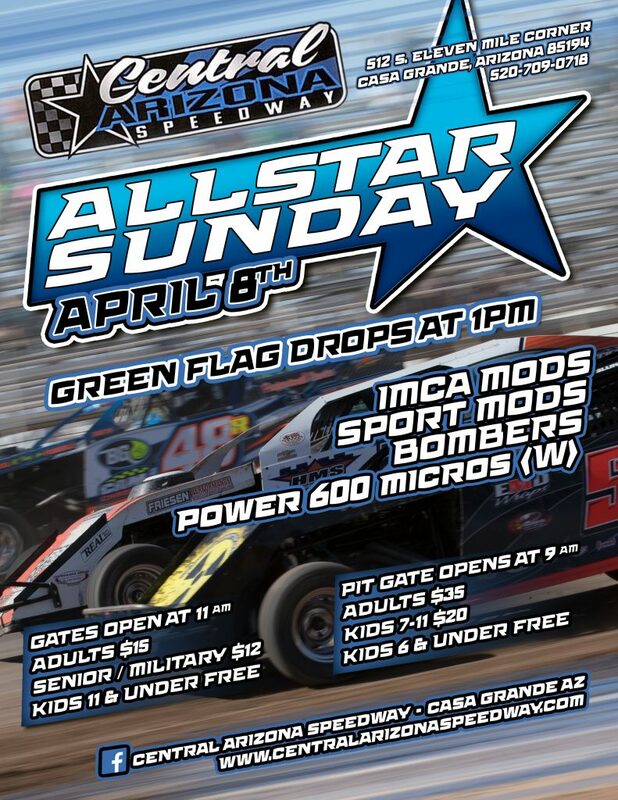 With multiple winners already in almost every division this makes the perfect night out with friends and family at Casa Grandes Central Arizona Speedway. 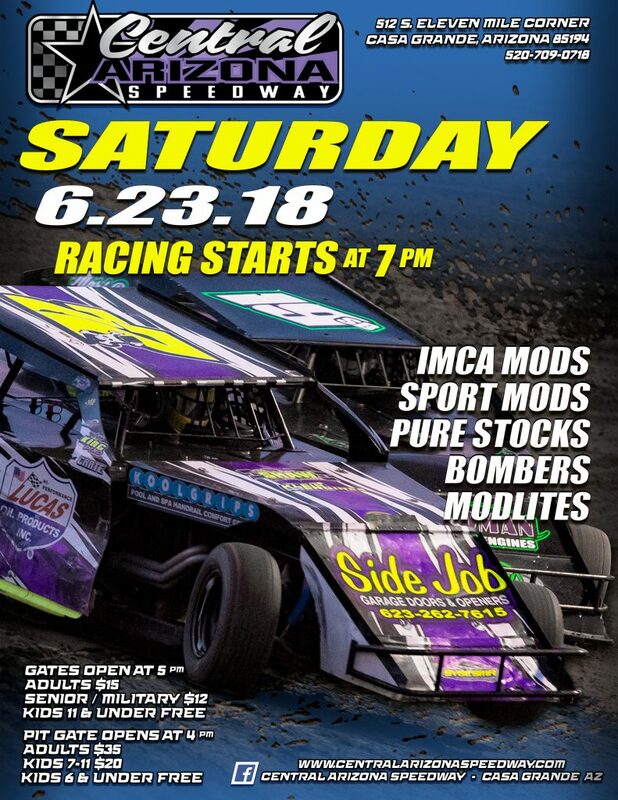 Join us for an action filled night of racing for the 2018 Pinal County Fair Race featuring Late Models, Pure Stocks, Modlites and the Power 600 Micro sprints! 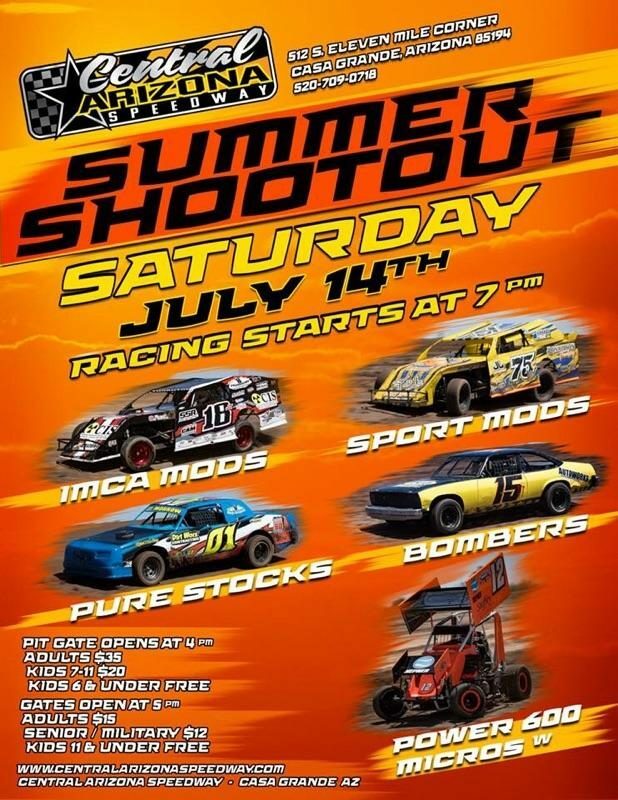 Racing action begins at 7:00 PM. 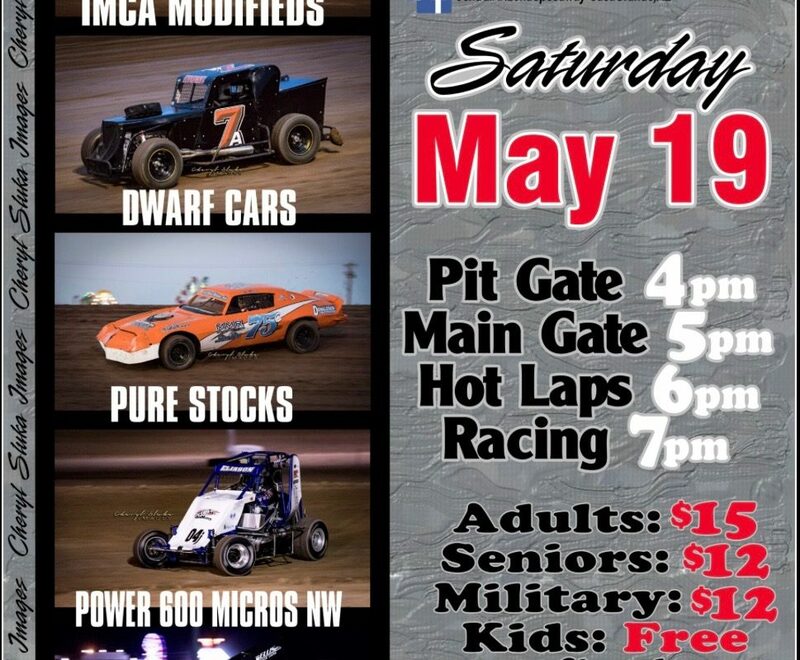 Pits open at 3:00 PM, Front Gates open at 5:00 PM. Cost of admission is $15 for Adults, $12 for Seniors/Military and Kids 11 and under are free. 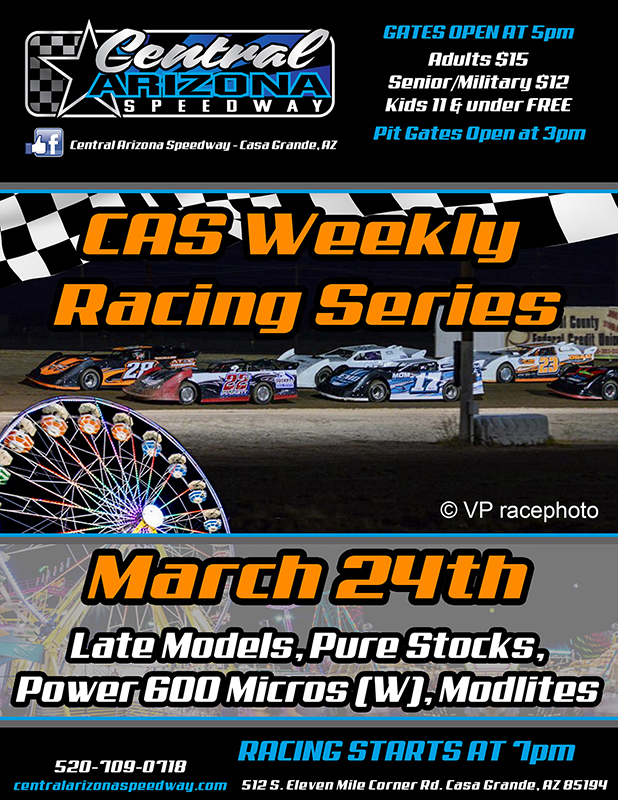 Central Arizona Speedway is located at 512 S Eleven Mile Corner Road, Casa Grande, AZ 85194 behind the Pinal County Fairgrounds. Follow us at https://www.facebook.com/Central-Arizona-Speedway-Casa-Grande-AZ or log onto www.CentralArizonaSpeedway.com or call 520-709-0718 for more information. 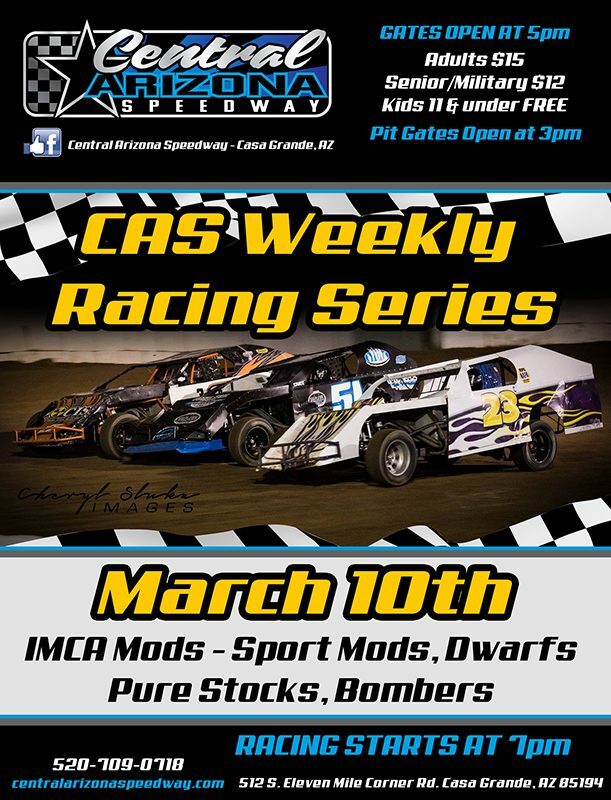 Central Arizona Speedway heats it up Saturday night March 10th with a monster card featuring IMCA Mods, Sport Mods, Dwarfs,Pure Stocks and Bombers. Regardless of your division preference there is something for everyone. Racing action begins at 1:00pm. Pits open at 9:00am, Front Gates open at 11:00am. 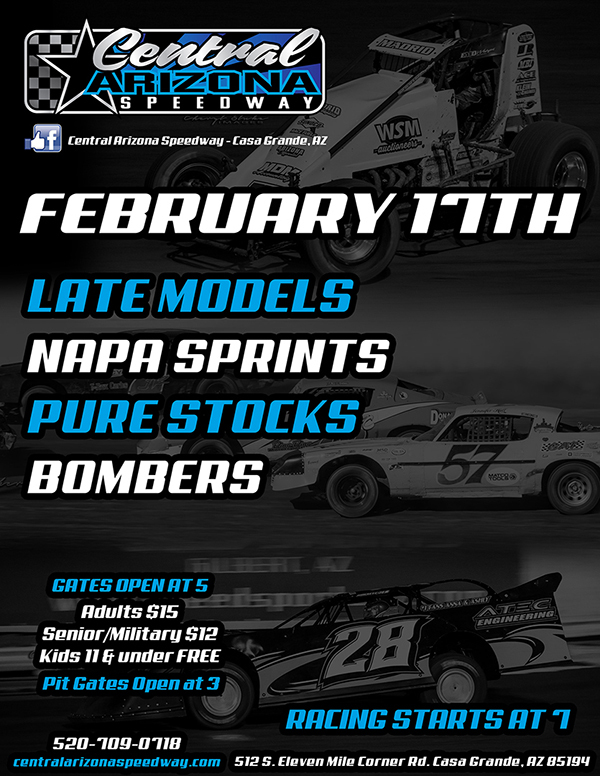 Central Arizona Speedway heats it up Saturday night Feb 17th with a monster card featuring Late Models, NAPA Sprints, Pure Stocks and Bombers. As the 2018 Championship season starts, the teams can’t wait to get back to the high speed facility. Regardless of your division preference there is something for everyone Saturday night. Racing action begins at 7:00pm. Pits open at 3:00pm, Front Gates open at 5:00pm. 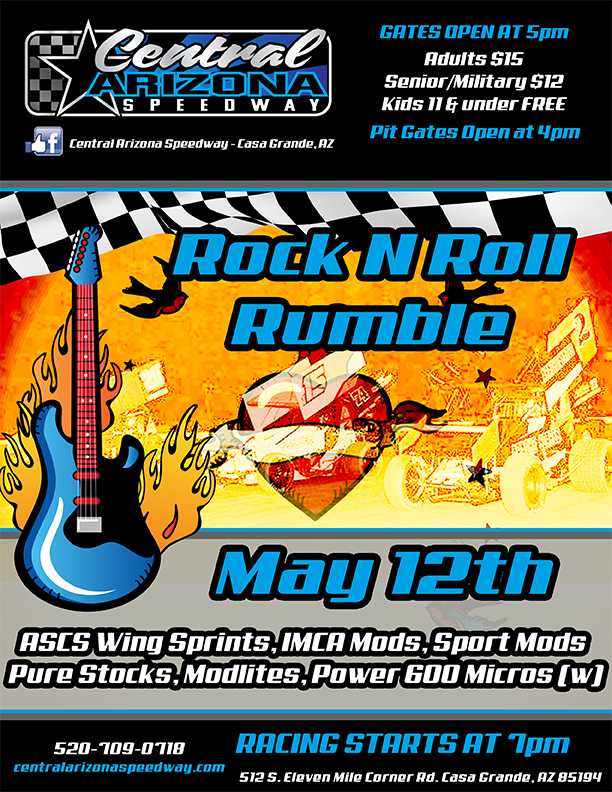 The first 100 kids through the gate will receive a Central Arizona Speedway silicone bracelet. 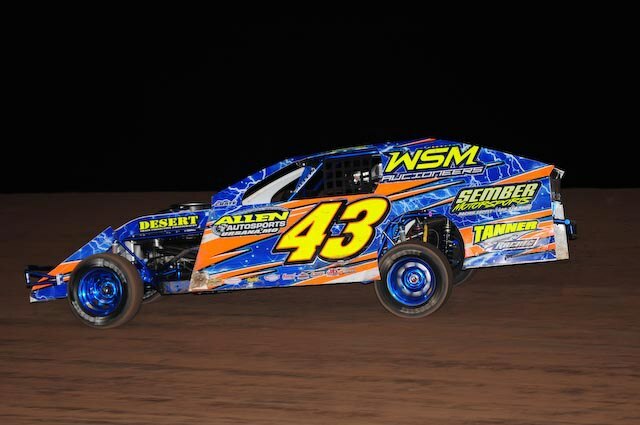 Jonah Trussel, San Tan Valley, AZ (Feb. 5, 2018) – With pre-entries over 150 the 2nd Annual IMCA Modified tour rolls into Central Arizona Speedway Sunday and Monday Feb. 11-12. 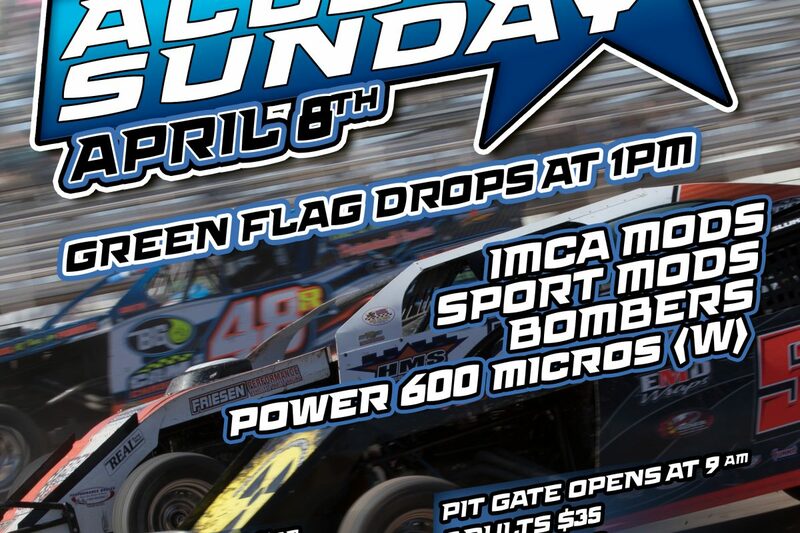 The 2 division mini series will be the largest if its kind boosting both record car counts and IMCA talent levels. 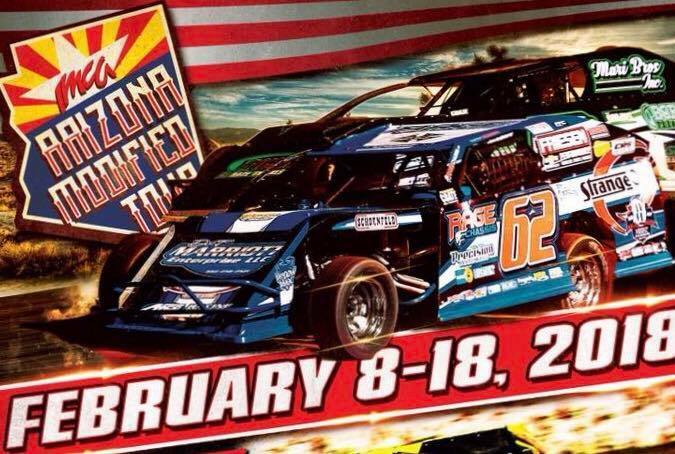 This must see event travels to 4 tracks with 9 total nights of racing beginning Friday and Saturday Feb. 9-10 at Arizona Speedway, Feb. 11-12 at Central Arizona Speedway, Feb. 14-15 at Canyon Speedway Park and wrapping up the series Feb. 16-18 at Cocopah Speedway.